In the mood for some old fashioned fun? 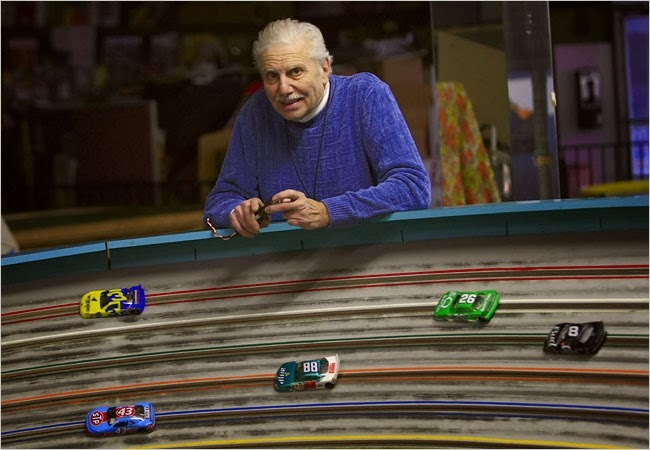 Check out the last of what used to be a popular pastime in these parts: slot car racing. At Buzz-A-Rama in Kensington fathers, sons, grandfathers, grandsons, and even here and there a girl or two, racing is a happening hobby. This vintage store was opened by Frank “Buzz” Perry in 1965, who is now 88 years-old. "In the first two years of when I was open, there were 45 places like this in the whole city of New York," says Perry. "And now? Now, I am the lone survivor." Go see what keeps a few loyal fans coming back for more at Buzz Perry’s Buzz-A-Rama on Church Street in Kensington.